倫敦電音名店Ministry of Sound DJ, 獲無數大DJ如Dannic, Nicky Romero, Markus Schulz, R3hab, Fedde Le Grand..邀請擔任指定合作夥伴. 跨越界限到眾多名列全球百大夜場演出,包括北京的Elements, Space One, 泰國普吉的Illusion,東京Camelot…同時也在2016年站上Ultra Europe舞台. The Italian London based DJ and Producer Markhese has grown really fast in the last three years and has been defined as a next generation DJ/producer thanks to his energetic and unique style, with performances set in a highly eclectic atmosphere where his Future House sound blends in a trendy and unique and melodic way, heating the dance floor. Playing regularly at the legendary Ministry of Sound Club in London supporting DJs as Dannic, Nervo, Nicky Romero, Markus Schulz, Camelphat, R3hab, Fedde Le Grand, Markhese in the past years performed all over the planet in the best events, venues and top 100 DJ mag clubs including Elements and Space One Beijing, Illuzion Phuket, Camelot Tokyo, Café Mambo Ibiza on Tour, Ibiza Rocks Bar, ADE and playing at Ultra Europe since 2016 at the UMF radio stage sharing the same line up with Alesso, Afrojack, Armin Van Buuren, Axwell & Ingrosso, David Guetta, DJ Snake, Tiesto, The Chainsmokers, Marshmello, Martin Garrix and more. Collaborating with Spinnin’ Records vocalists and remixing tracks of its djs, his tracks have always summery sounds, pads and piano chords, powerful dancefloor-ready future house drops and happy atmospheres. They always get into the top 100 Beatport Charts as top releases and top 10 newcomer tracks most played in shows. His tracks are supported by artists as Don Diablo, Fedde Le Grand, Yves V, Mike Williams, Madison Mars, Ummet Ozcan, Juicy M, Dash Berlin, Lucas & Steve and more. Markhese music for 2019 will be released by Sirup Music (EDX, Nora en Pure and more), Switzerland's leading dance music entertainment company and Switzerland's base of Armada Music, We Play, Beyourself, Anjuna Beats, Cloud 9. 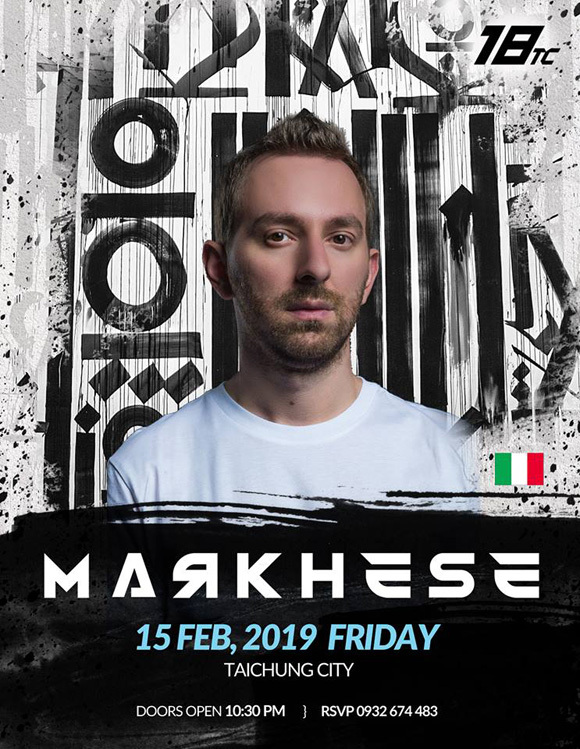 Markhese currently runs as well the weekly radio show “Intense’’, where he presents the best and newest dance music having always international top DJs joining for guest mixes, as Tomorrowland resident ANGEMI and many more. And he also plays every month on the best Dutch dance radio SLAM on the Friday Mix Marathon along DJs as Oliver Heldens, Blasterjaxx, Sam Feldt, Claptone, Nicky Romero, Dimitri Vegas & Like Mike, Timmy Trumpet and more.